This year my family is quitting sugar, but there would be mutiny if I just cleared out the shelves and said we’re never having cookies again. That’s why I’m making desserts like cookie dough hummus. They’re full of protein (to make you crave less sugar) and use natural sweeteners like maple syrup or honey. 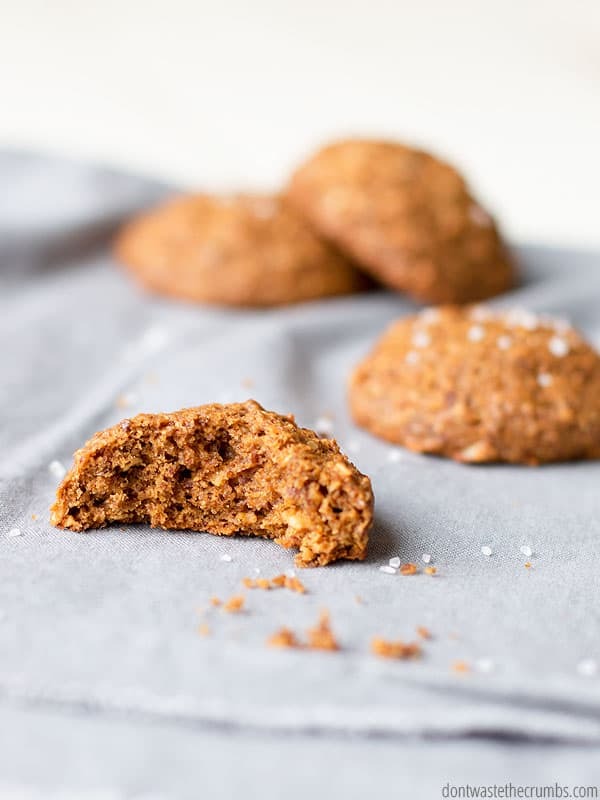 Thankfully, we can enjoy cookies guilt free because I’ve created an amazingly delicious recipe for molasses breakfast cookies! It’s only fitting to serve cookies that don’t have sugar at breakfast, don’t you think? Sure we can have protein pancakes or peach breakfast crumble (since neither recipe uses sugar), but having cookies for breakfast just sounds more fun. I mean, how many kids did you know growing up that had COOKIES for BREAKFAST? 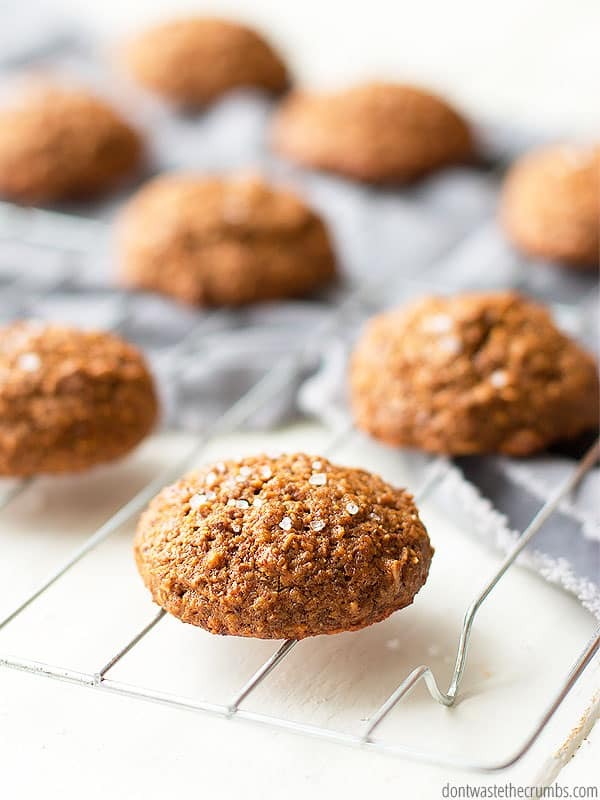 I didn’t know of any, and these molasses breakfast cookies are PACKED with nutrition from amazing ingredients and there’s not a drop of processed sugar in sight. I’m thinking these breakfast cookies officially qualify as a healthy breakfast! Oddly enough, molasses breakfast cookies don’t really taste like molasses. Mr. Crumbs said these breakfast cookies tasted like gingersnaps, although they don’t have any ginger and I’ve never personally had a gingersnap. The Girl ate a cookie and asked for another. I admit that she’ll eat anything if you call it a cookie, but she’s also the one that won’t eat it unless it actually tastes good. As for me, well, I think they’re pretty darn tasty and very addicting. I ate WAY more than I should have – which I blame on thorough recipe testing instead of lack of self-control! Oat Flour. Oats are magical and super nutritious, but oat flour is the bomb. 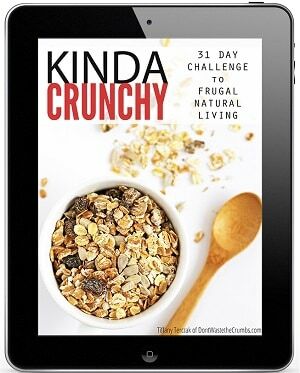 It instantly adds a bit of chew and texture to any recipe, and you can make your own oat flour with a blender. Whole Grain Flour. We’re using just the tiniest amount of flour here and it’s only because the gluten made the cookie less crumbly and a bit softer. I used whole wheat flour, but you can use whatever you have in the pantry. Coconut Oil. You on the coconut oil train yet? Hop on friends because for all the reasons to eat more coconut oil, “because it makes molasses breakfast cookies taste amazing” should be at the top of the list. Molasses. Ta da! The start of the molasses breakfast cookies is none other than MOLASSES! Part sweetener and whole flavor here, you cannot skip the molasses. Try to make it black strap molasses so you’re getting all those micronutrients too. If you don’t have it, go get it – STAT – because you can use it to make homemade brown sugar too. This might sound strange, but molasses breakfast cookies might make you think you’re in a time warp. Instantly I was taken back 20+ years to my childhood where I was surrounded by the aromas and flavors of the Thanksgiving and Christmas holidays. Was I eating pumpkin bread? Or gingerbread? How in the world could I think I was eating either when the recipe doesn’t have pumpkin OR ginger? I don’t know, but I’m blaming the molasses with a big ‘ol hug because these breakfast cookies are definitely on my breakfast rotation. In a big bowl OR in the bowl of a stand mixer, mix together eggs, coconut oil, honey, molasses and vanilla until well combined. Add the milled flaxseed, oat flour, whole grain flour, baking powder, cinnamon and nutmeg and stir until combined well. Let the dough sit for about 5 minutes while you line a cookie sheet with a silpat mat, or lightly grease the cookie sheet. Scoop cookies onto the cookie sheet, leaving enough room for expansion*. Bake for 12 minutes, or until the edges are just slightly darker. *The cookies will expand less and less the longer the dough sits. My first sheet of cookies, baked as soon as I was done mixing, doubled in size. My second sheet of cookies, baked about 20 minutes after the batter was done mixing, barely expanded in size. The amount of expansion will not effect the outcome of the recipe. Adapted greatly from Raising Generation Nourished. Are you a fan of molasses? What about breakfast cookies? What would be your favorite breakfast cookie flavor? These look delish! Could I substitute butter for the coconut oil?? Thanks Diana and yes, you can substitute butter! Tiffany, You amaze me every time I get onto your blog. 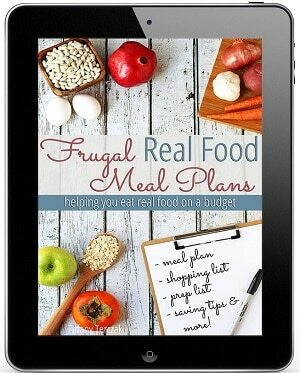 Just when I thought there are no more good recipes out there (that my kids and husband will eat! ), I see your blog and I’m so relieved!!! 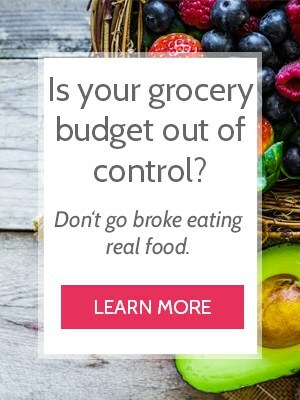 THANK YOU from the bottom of my heart for helping me to feed my family healthy, filling food on a budget! ? Aw, you’re so sweet Jen! You’re SOOOO welcome!! I made these this morning with high hopes. Followed recipe to a tee except that I used regular molasses not blackstrap because that’s what I had on hand. They’re not bad, they just don’t have much flavor????? You bite into them and they’re chewy but have almost no flavor. Help please! Hi Jen! The type of molasses shouldn’t effect the flavor. These aren’t going to be super flavorful cookies that our tastebuds are used to. The flavor is subtle, and they’re not sweet (and our tastebuds are trained to equate flavor with sugar). If they’re not up your alley, I’d definitely try more cinnamon and/or nutmeg for a spicier cookie, or you can add a handful of chocolate chips, white chocolate chips, coconut or chopped nuts – although bear in mind they’re “breakfast” cookies so if you’re actually serving them for breakfast, aim for lower sugar. 😉 If they’re dessert, go for gusto! I made these cookies a few days ago; I put a tiny piece of chocolate in the top to make them more attractive ?? since they have no sugar. They are not sweet at all, but we have enjoyed them, my daughter had 3 as an afternoon snack and 2 the next morning for breakfast. Definitely a keeper! Thanks for sharing the recipe! Glad you liked them Andreea! And a neat little trick for making them more appealing! I love that because they’re not sweet, there’s no guilt in having multiple at a time! I made these today and they are good. They are nice and moist and more cake like than most cookies. The batter definitely needs 5-10 mins to thicken. They tasted a bit too healthy for my two and four year old nieces though! I added nuts and coconut which were good additions. Thanks for another tasty and healthy recipe! You’re so welcome Hannah! I like the addition of the nuts and coconut! Could you substitute one more egg instead of flax seed, or should i use some sort of flour instead? You would need to use a flour instead Barbara, because it’s not used in lieu of egg in this recipe. If you have nuts, those ground up really small (almost into a powder) would be the most closest substitution. I made these last Sunday morning and substituted almond flour for the oat and whole wheat flours. I also added raisins and walnuts! I wasn’t sure how they would turn out, but they were moist and fluffy and delicious! I shared them with our church group and they were a big hit there! Thanks for sharing the recipe! Whoa – nice sub and additions Tammy! I wouldn’t have even thought of those, but now that I think of it, they work! You know it’s a good one when church group eats them up. 😉 So glad you like them! Thank you for this recipe, these are fantastic! I did want to say that even though I love these cookies, the 1st time I made them they were a bit too bland for the kids, so I played with the spices a bit and instead of the cinnamon & nutmeg listed in the recipe, I used 1 tsp ginger, 1/2 tsp cinnamon & 1/4 tsp cloves…that was just the thing. Now they taste a bit spicier & even a bit sweeter. They’re a perfect fall treat! Can regular ground flax seed be used, rather than milled? 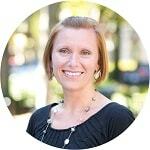 Hi Lynn! 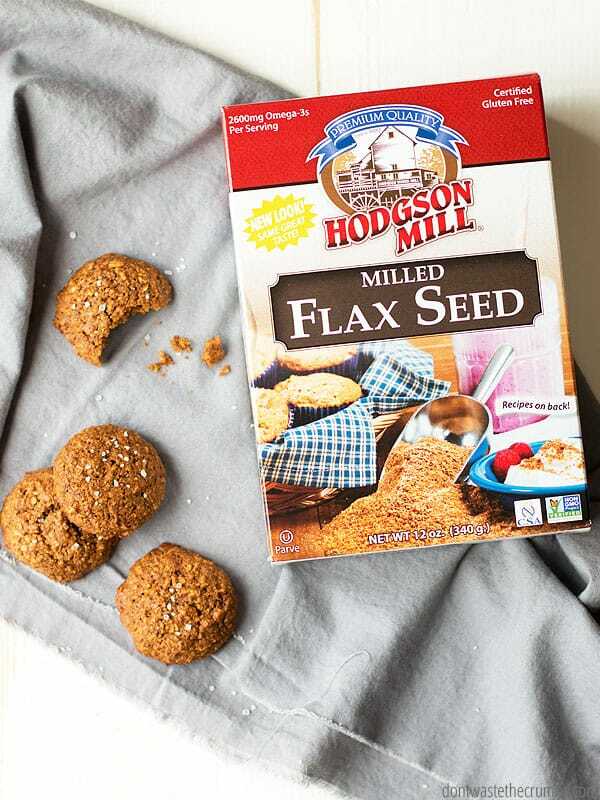 Ground flaxseed and milled flaxseed are the same, so yes! Preheat oven to 350 degrees F. Mix all ingredients together in a large bowl. If batter feels too wet, add another cup of oats. Using a large cookies scoop, place batter on a cookie sheet fitted with a Silpat or nonstick silicone baking mat. Flatten cookies with your hand. Bake for 15 minutes, flip over and bake for an additional 15 minutes. Recipe. Blackstrap molasses is so good for us!! About the time you posted how to dry tomatoes and use the flour in recipes is about the time I started making and experimenting with green banana flour. I make my own flour with the skins on, because my cousin grows them so I get them for free (almost). I now substitute 1/4 of any flour with my green banana flour and all results I have baked have been to my satisfaction. Why I do this is because green banana flour is said to be gluten free – and my gullet and stomach say ‘thank you’. I have also baked cakes wholly with the flour and they too turn out well. 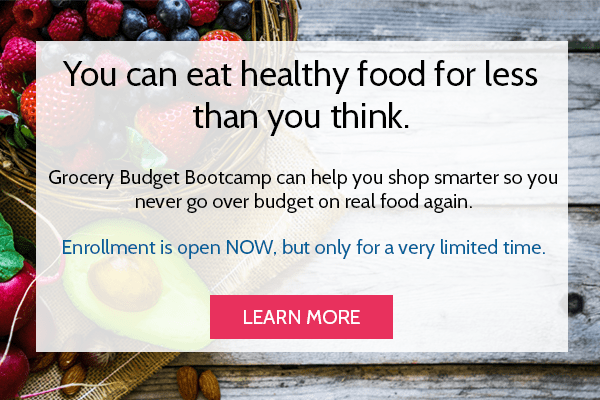 Can you provide the nutrition values? I’m counting calories, carbs, fat, etc. These sound great but I need to know how many I can have per day and keep within my goals. 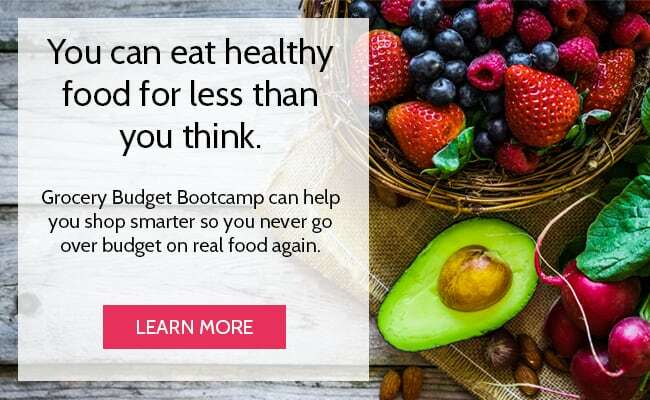 Hey Jody – You’re welcome to take the recipe information and use a nutrition calculator online for this information! Tiffany, Whadya think about subbing almond flour for the oat flour?? Hmmm… You could give it a shot, but I’m learning that almond and coconut flours have a different rate of absorption than others… for example, coconut flour is VERY absorbent!! You can always test with a half batch though. If they don’t look pretty, they’ll still taste good! Okay, Tiffany thanks for your thoughts. You can definitely sub out almond flour for the whole grain flour (I do), but probably not the oat flour as it is pretty integral to the recipe. As for coconut flour, the general rule of thumb is to replace no more than 1/4 of the total flour in a recipe with coconut flour (so as not to completely alter the texture and consistency into a powdery mess) and add equal parts liquid as coconut flour. The only exception is if a recipe calls for coconut flour, in which case you don’t add extra liquid. So, if you wanted to be ambitious and replace the 1/2 cup whole grain flour (1/3 of the total flour) with coconut flour, you would also add 1/2 water. You could also be super ambitious and do that, plus sub in almond flour for the 1 cup oat flour, in which case, let us know how that turns out. 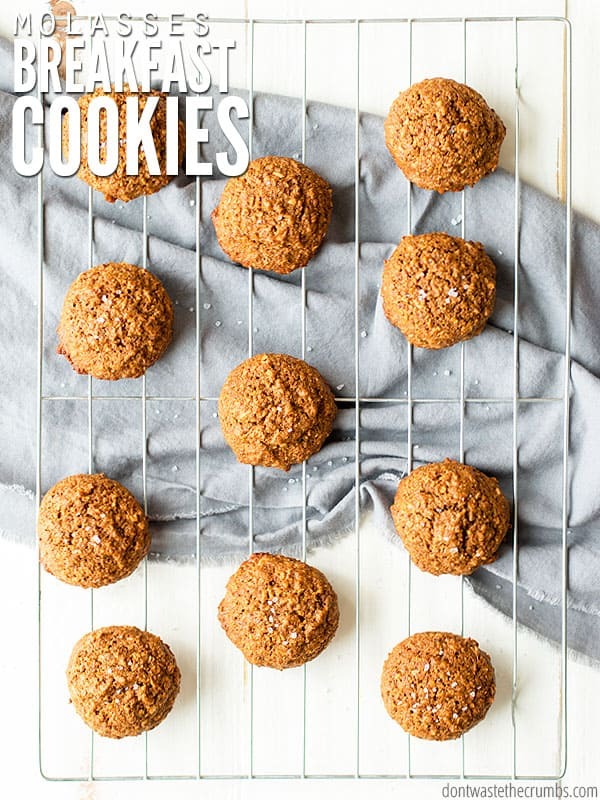 Not only are these delicious, but they make great lactation cookies! I sub out almond flour for half of the whole grain flour and add dried unsweetened coconut flakes and 1TBSP brewer’s yeast all for an extra boost (although the molasses already has a lot of the same benefits as the brewer’s yeast). Then I add some dried cranberries and raw cacao nibs for extra flavor. Plus, they are easier to make and healthier than any of the other lactation cookie recipes I’ve found. They freeze great, too! I think I need to do some “recipe testing” on these as well. I love the idea of these breakfast cookies. I’m a big fan of using molasses so this recipe is great. I’m wondering how the kids will take to them but I’m hoping for the best.